I am not really an MMO fan, but I am aware that the more buttons you have the better. 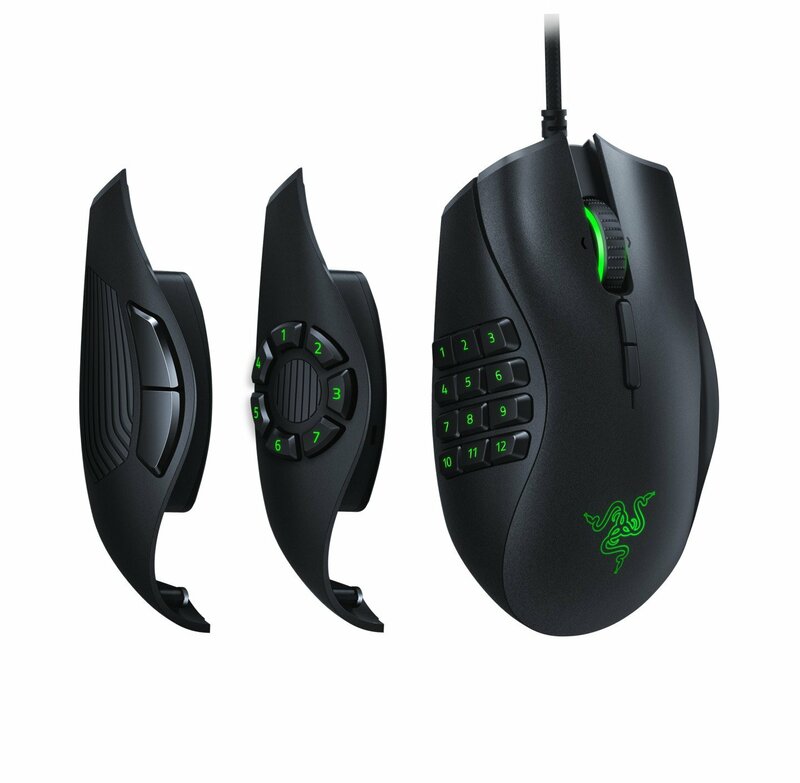 So this is why the Naga range of mice from Razer has been so popular, as their 12 programmable side keys offer a lot of customization. 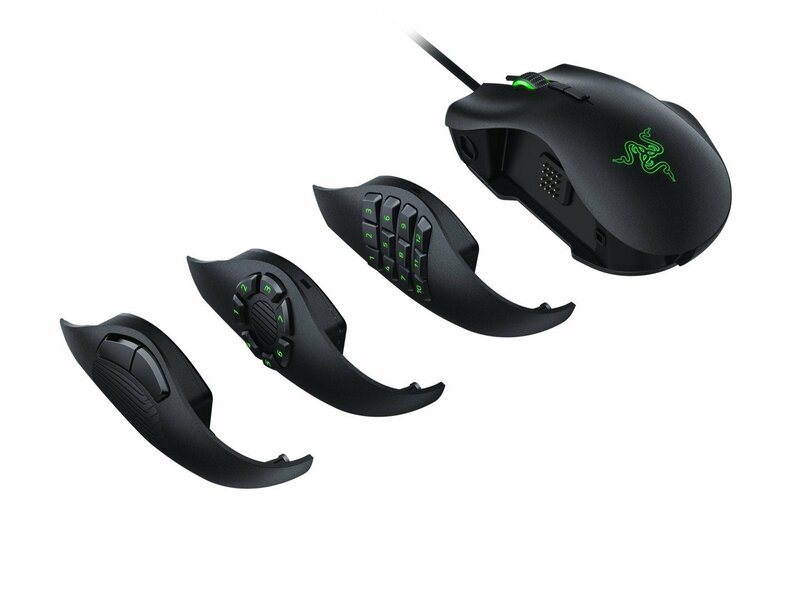 The Razer Naga Trinity goes above and beyond this by offering you 3 different side plate for the mouse itself, allowing you to have 3 mice for the price of one. The Naga Trinity rocks their 5G optical sensor, allowing you to have 16,000 DPI. Don’t worry, it still sports the Chroma Lighting, letting you stand out from the crowd. The big selling point is the hot-swappable side plate that comes with the Trinity. You can 2, 7 and 12-button configurations. This means you can have a side plate for each game in your Steam Library. These plates are held on by magnets, which are strong enough to mean it won’t fall off, no matter how hard you hit the mouse. But it can also be taken off very easily with just getting your thumb under the plate itself. One thing I thought was missing was some form of case for the mouse and the side plates. As a wireless mouse is built to be portable, having to pack it and its side plates can be a bit cumbersome. So an included case would have been a nice plus. 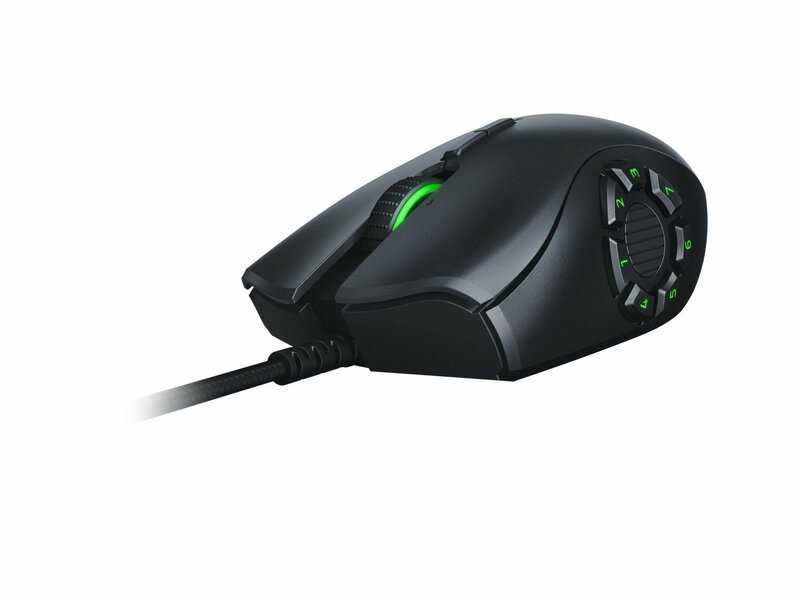 This for me is an easy purchase, it doesn’t matter if you are an MMO, MOBA or standard gamer, this mouse offers options for any scenario.